A Simple Workflow	is a constrained workflow designer that puts steps in a sequence for the purpose of an individual who has little to no workflow experience. TheSimple Workflow	gives the user the ability to use a workflow created by a Decisions designer. It is designed in a way that is easy to edit and follow. A Decisions designer creates a flow for the End User, they are given the capability to edit the workflow on the form if a simple input needs to be made without changing the structure of the flow. The steps within this designerare interchangeable and can also be reorganized according to the users needs. 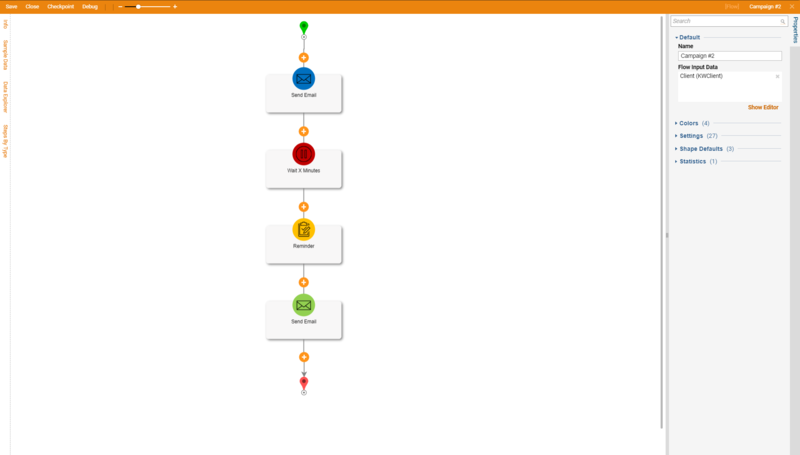 With simple flows, the only steps available to the End User are other flows, built using the standard flow designer. For a Designer these workflows can be packaged up to do all kinds of common activities.